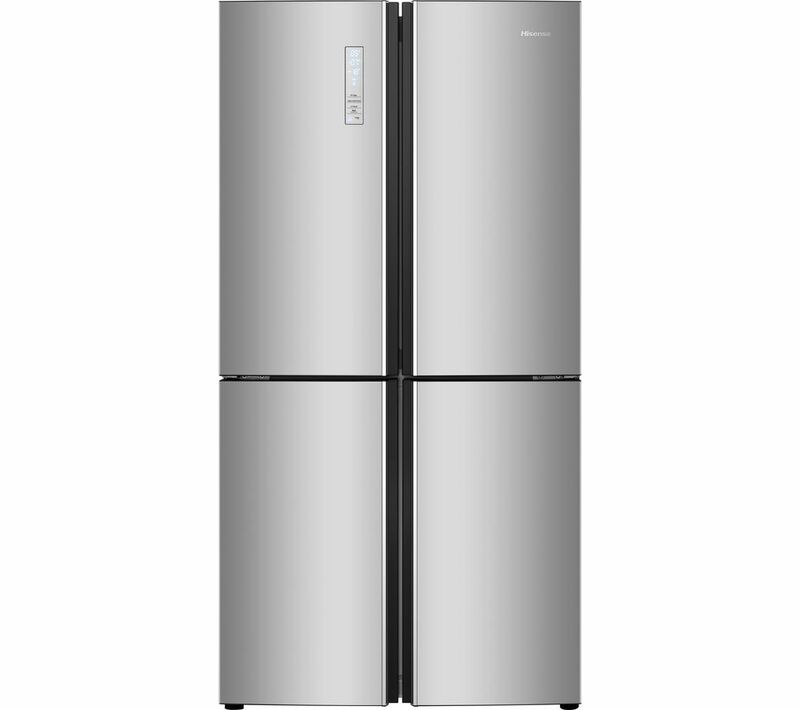 The Hisense RQ689N4BD1 Fridge Freezer features Total No Frost, so you won't need to spend valuable time manually defrosting the appliance. 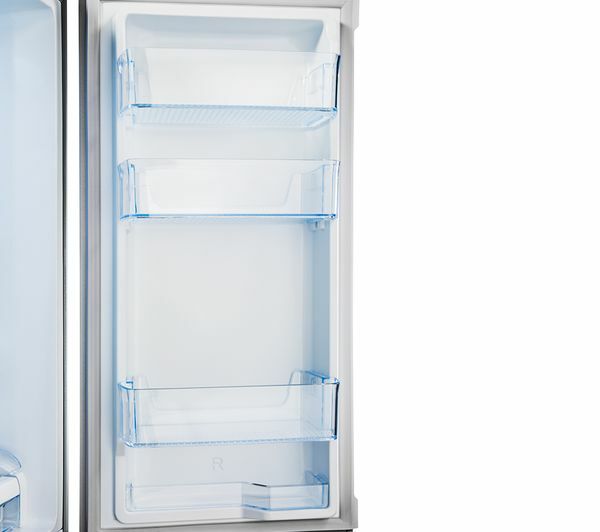 Since there is no build up of frost, this also leaves you with more space for your favourite food. 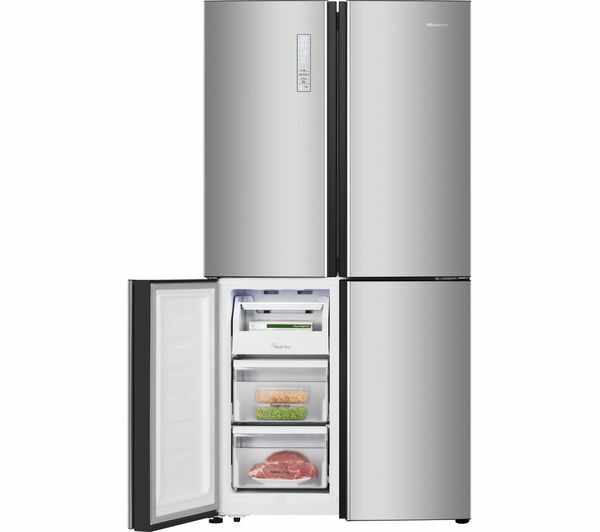 With a large 556 litre capacity, you can easily store all of your weekly shopping. 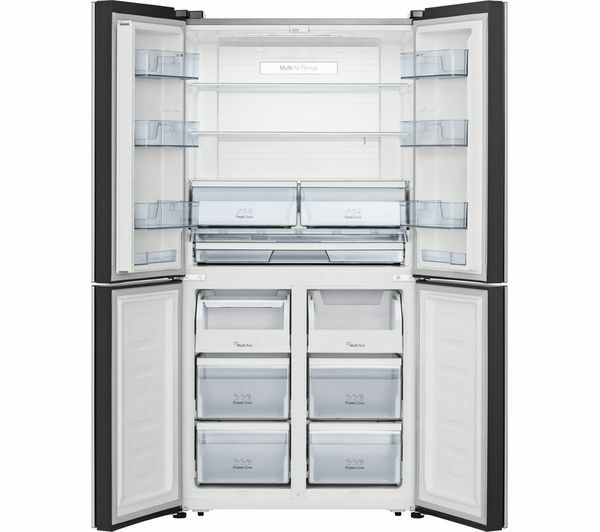 Triple Tech Cooling technology helps to avoid the transference of food odours, while a My Fresh Choice function lets you easily adjust the three temperature-controlled compartments to suit your personal tastes and needs. The multi function pantry is ideal for storing cheese, fruits and vegetables at the ideal temperature, keeping them fresher for longer. 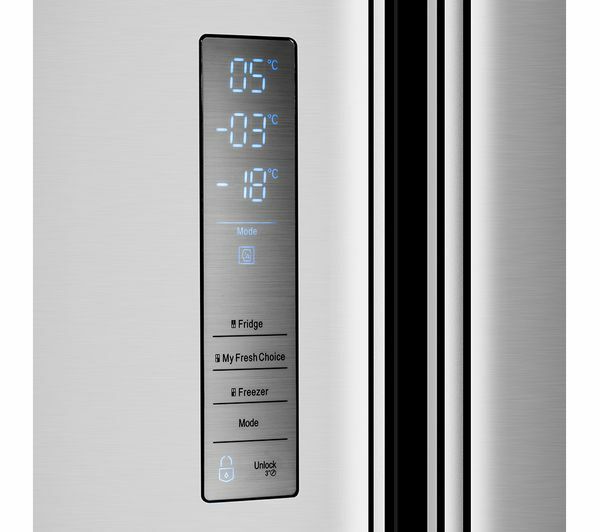 Using the touch controls you can quickly and easily adjust the internal temperature. 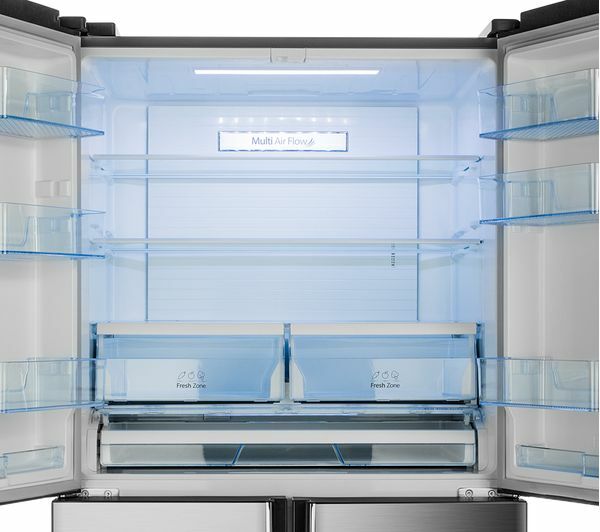 The LED display gives you all the information you need at a glance, while a Super Freeze mode makes it easy to rapidly freeze food - ideal for when you've just finished storing the weekly shopping. 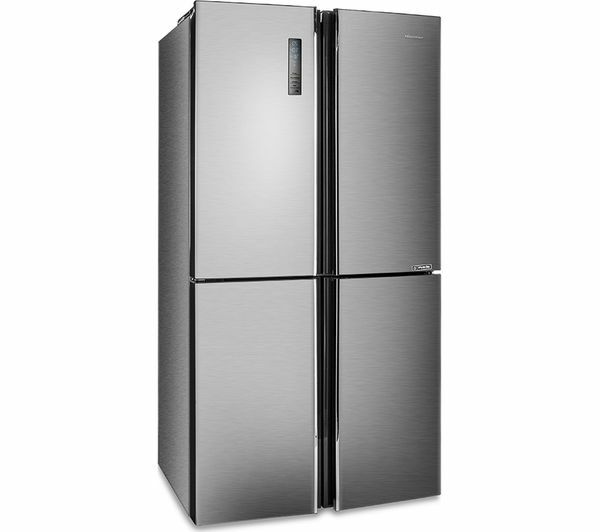 If you forget to accidentally close the doors, the RQ689N4BD1 produces an audible alarm to remind you. As a result, you can save energy and keep your food fresh.